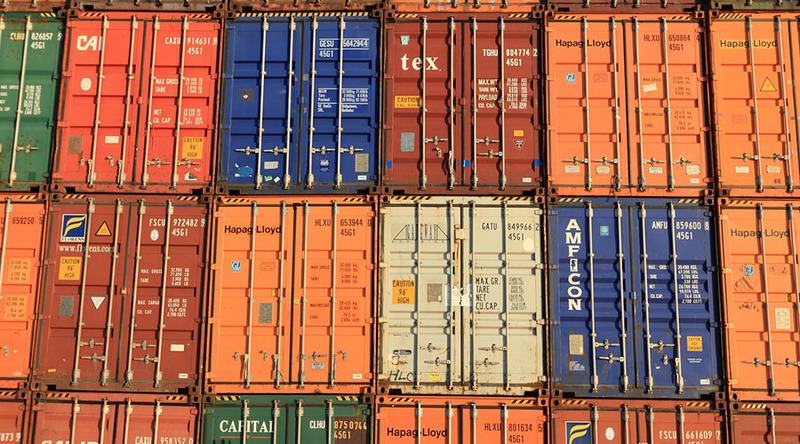 October 5, 2018 (Investorideas.com Newswire) An innovative company that uses shipping containers as building blocks has entered the residential market, reports Daniel Carlson of Tailwinds Research. It wasn't that long ago when we had an update call with SG Blocks Inc. (SGBX:NASDAQ), but since then it has been a very busy company, particularly so in regards to initiatives in the residential marketplace. In light of this activity, combined with several pertinent press releases in recent weeks, it made sense to see just what SG Blocks has been up to in residential and how it could affect our model. According to CFO Mahesh Sheety, in a recent conversation we had, SG Blocks has had over 5,000 qualified leads for residential housing in the last few years. The demand for this product is real and now. However, its ability to service this market was almost non-existent. That has changed. The changes in SGBX started on August 2 when it named Scott Hill, an experienced veteran in the modular construction business, as Vice President of Operations. In his role, Hill is implementing day to day business activities and strategies. This would include, of course, developing partnerships to go after the large market opportunity that residential represents. The first step of this strategy was revealed on September 10 when the company announced the formation of SG Residential. This new entity, which is majority owned by SGBX, was formed in partnership with senior financial services and housing market executives David Villarreal and Lee Shaw and will focus on the sales and financing of single-family container-based modular homes. Obviously, these two are very experienced in this industry, but the partnership with them was just the beginning of the move towards becoming a player in residential. A move that was fleshed out more at the 15th Annual Five Star Conference in Dallas where the company "Enters $265 Billion New Single-Family Residential Market with Leading Global Architecture Firm Grimshaw Architects." At this point, we have the company hiring a leader for residential, unveiling products in conjunction with a leading architectural firm at an industry conference, and starting a residential division led by industry experts. It was not done. On September 21, the company announced an alliance with Sequential Modular Partners. This is a big deal. Sequential is a minority owned business led by Wayne Lawrence, an executive with an extensive history in residential development; his last firm did over $100 million in projects under his leadership. Also participating in this alliance is Pinnacle Design Group, an Oklahoma-based company with "over 25 years of specialized multi-disciplined design/build experience in government contracting, multi-family, hospitality, commercial and sustainable projects." As Chairman and CEO Paul Galvin stated, "This a significant milestone for SG Blocks as we continue to increase our footprint on both a national and international scale. We are partnering with some of the foremost leaders both in business and athletics to bring our product to new markets and industries. This will grant us access to public, private and hybrid bidding opportunities as well as new opportunities with the federal set aside business." Galvin was obviously enthusiastic about this…but wait, there's more. On September 24, the company announced a partnership with a Latino-focused community development financial institution to deliver affordable housing and a revolutionary mortgage product. Excitingly, this partnership already has a project in mind. "The first project is anticipated to be an approximately 50-unit development in Puerto Rico where the container homes will be finished out and installed by local developers, bringing much-needed affordable and resilient housing and generating new jobs on the island." In my conversations with the company, I learned that this project is likely to start shipping in 2018 and the average dwelling should generate in excess of $125,000 in revenue to SGBX. Importantly, these units will fall into the 20% gross margin range that SG is targeting for their projects. That means the first project alone could add more than 20 cents per share in profit over the next year or so. However, in order to achieve that profit, and the bigger promise that residential represents, SG Blocks needs to be able to execute on installing these projects. Which is where the latest press release becomes important; on October 3, SGBX announced an alliance with Harrison, Walker and Harper. "Harrison, Walker and Harper (HWH), an engineering, contracting and industrial services firm, will be SG Blocks' preferred partner to perform all the site work and installation of projects across the U.S. This includes single-family container-based modular homes that will be built through its subsidiary SG Residential." This partnership completes the necessary components for SG Blocks to start becoming a player in the residential space. This is a multi-multi-billion dollar market and it only takes SG getting a tiny slice for it to be meaningful to the company and investors. In our opinion, SG Blocks represents an amazing risk/reward opportunity. The company has a solid backlog and is guiding to positive cash flow in the back half of 2018 and should be very profitable in 2019. The pipeline is solid and growing. These new partnerships are going to bring in significant new opportunities and the business model can scale. Most excitingly to us, getting into larger scale projects, like a program in Puerto Rico or other underserved markets, is the best use of modular container housing. With its increased focus on residential and new partnerships with strong, experienced partners, we could finally start to see SGBX making a real impact in this market, which would not only be good for investors, but for the individuals who can benefit from sustainable, safe housing. Daniel Carlson is the founder and managing member of Tailwinds Research Group and its parent company DFC Advisory Services, which is a licensed registered investment advisor (CRD # 297209). Tailwinds is a microcap focused research company that provides research on and consults to over 20 emerging growth companies in the technology and life sciences arenas. DFC Advisory Services is an RIA that manages money dedicated to investing in the companies covered by Tailwinds. For more information on these two companies and their track record, please see www.tailwindsresearch.com. Prior to founding these two entities, Dan spent many years working with small public companies, having been CFO of two public companies and helping finance many others. A 1989 graduate from Tufts University with a degree in Economics, Dan’s formative years in business were spent as an equity trader, first on the Pacific Coast Stock Exchange then on the buyside at several multi-billion dollar firms. This article was submitted by Tailwinds Research. For more information on Tailwinds Research or on SG Blocks, please visit www.tailwindsresearch.com. Tailwinds owns stock in SG Blocks. For a complete list of disclosures, please click here. 1) Daniel Carlson: I, or members of my immediate household or family, own shares of the following companies mentioned in this article: SG Blocks. I personally am, or members of my immediate household or family are, paid by the following companies mentioned in this article: None. My company has a financial relationship with the following companies referred to in this article: None. Additional disclosures and disclaimers are above. I determined which companies would be included in this article based on my research and understanding of the sector.